For years — through many sessions of Congress — policymakers, researchers, environmentalists and energy companies have debated the merits of instituting a carbon tax across the U.S. economy. Such a tax, which would assign a fee to carbon dioxide emissions because of their detrimental impact on the atmosphere and contributions to climate change, has long appealed to a diverse mix of people of varying political ideologies, from groups on both the political left and right. This unusual appeal across party lines (of course, with many exceptions) mostly stems from the relative simplicity, in principle, of a uniform tax, in contrast to the more administratively complicated policy of lowering emissions by putting caps on the amount of carbon dioxide that can be released. Some conservative economists, for example, are attracted to it because it does not necessarily require Environmental Protection Agency (EPA) involvement and could be used to offset and lower personal and corporate income taxes, possibly facilitating broader tax reform. This issue of how revenue is used can divide even liberal groups, who generally support action on climate change. Still, in a largely symbolic measure in June 2016, the U.S. House of Representatives voted 237-163 to oppose any future carbon tax proposals, and despite converts to the cause such as the energy giant ExxonMobil, there is no clear political pathway to passage as of yet. 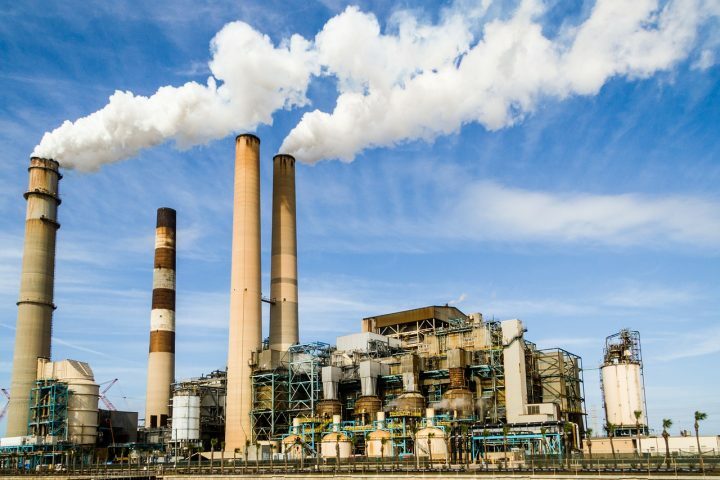 Currently, the U.S. government is attempting to reduce industrial greenhouse gas emissions largely through the Clean Power Plan, which aims to put constraints on power plants. That plan is currently under judicial review. At the global level, meanwhile, the Paris agreement through the United Nations mandates that each country set and achieve its own emissions targets, with a wide variety of policy mechanisms being used to achieve those goals. Public opinion on a carbon tax remains the subject of some debate, and fact-checkers have been critical of some politicians’ claims about the public mood. It is worth noting that the way in which questions are framed, and the proposed uses of the revenue in question, can significantly affect responses; there are also large regional variations in the U.S. Although a carbon tax may be comparatively simple in terms of implementation, administration and oversight, it does have several dimensions that are subject to debate: 1) the point at which carbon is taxed (whether at the upstream level of oil wells and coal mines, or more downstream at the pipeline and utility level); 2) the hotly debated issue of how to calculate the proper price on carbon dioxide; 3) how to distribute the tax revenue to maximize the policy’s intended impact; and 4), how to compensate for the fact that lower-income households tend to spend a greater percentage of their income on energy-related services, and therefore a carbon tax may operate as a “regressive” tax — depending on implementation. Congressional Budget Office, May 2013, Publication Number 4532. Ramseur, Jonathan L.; et al. Congressional Research Service, Sept. 17. 2012, R42731. Aldy, Joseph E.; Stavins, Robert N. Daedalus, Spring 2012, Vol. 141, No. 2, Pages 45-60. Murray, Brian; Rivers, Nicholas. Energy Policy, November 2015, Vol. 86. doi: doi:10.1016/j.enpol.2015.08.011. Mathur, Aparna; Morris, Adele C. Energy Policy, March 2014, Vol. 66. doi:10.1016/j.enpol.2013.11.047. Elliott, Joshua; Fullerton, Don. Resource and Energy Economics, January 2014, Vol. 36, Issue 1, Pages 6–21. doi: 10.1016/j.reseneeco.2013.11.003.